UPDATE: Most Canadian retailers now extend Boxing Day into Boxing Week so there’s more time for shoppers to take advantage of all the great deals. 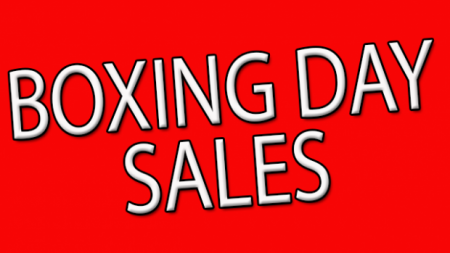 I revised my Boxing Day post from yesterday and have removed all the 1-day only (Dec 26) deals. Boxing Day was on Wednesday, December 26, 2018. Boxing Day is the biggest shopping day of the year in Canada! Most Canadian retailers will drastically slash their prices and offer blow-out sales. Lots of merchants now start to their Boxing Day sales early online on Dec. 24th and in-store on Dec. 26th. 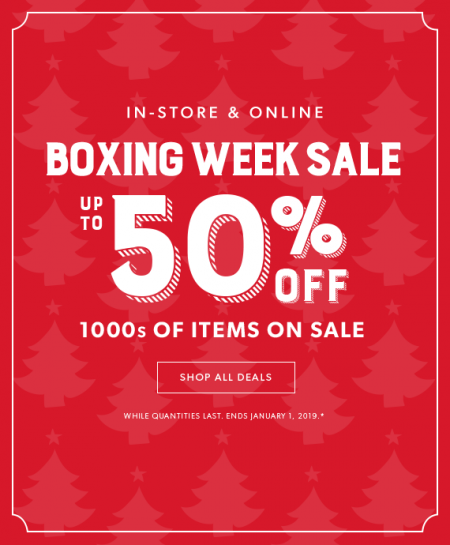 Boxing Week Tip: Shop online! Save yourself from the hordes of shoppers and long line-ups at the mall! Most retailers offer the same deals online and free shipping. 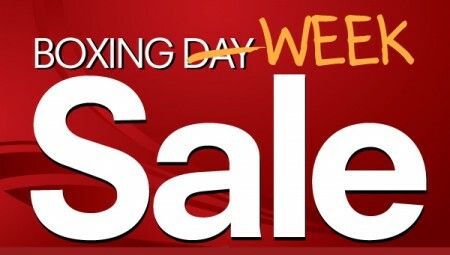 I will update this post throughout the day with all the best Boxing Week Sales so check back often. Enjoy all the Boxing Day savings and Happy Holidays! Please help share and tell your friends, family and co-workers about this blog so everyone can take advantage of the sales. Amazon.ca‘s popular Boxing Day is over but their Boxing Day Deals Week event is now live! Save up to 70% with great deals on fashion, electronics, beauty & personal care, and much more. Enjoy free shipping on millions of items. Whether you’re on the hunt for a new TV, or the perfect watch, don’t miss out on the hottest deals and discounts during Boxing Week 2018. Amazon will have more deals this holiday season, with their Warehouse Deals and the Outlet Store. With so many deals at your fingertips, and our amazing shipping options, you can skip the lines and shop all week long. Today is Boxing Day (Wednesday, December 26, 2018)! Boxing Day is the biggest shopping day of the year in Canada! Most Canadian retailers will drastically slash their prices and offer blow-out sales. Lots of merchants now start to their Boxing Day sales early online on Dec. 24th and in-store on Dec. 26th. Another new trend is lots of retailers are extending Boxing Day into Boxing Week so there’s more time for shoppers to take advantage of the great deals. Boxing Day Tip: Shop online! Save yourself from the hordes of shoppers and long line-ups at the mall! Most retailers offer the same deals online and free shipping. I will update this post throughout the day with all the best Boxing Day Sales so check back often. Chapters Indigo is having a Boxing Week Sale. Save up to 50% off on 1000’s of items. The sale is available in-store and online from December 26th to January 1, 2019 or whiles quantities last. No rainchecks. Click here to visit Chapters Indigo’s website for more details. Staples is having a 1-Day only Boxing Day Week Deals. The sale is available in-stores and online while supplies last. Deals available while quantities last. Price adjustments and guarantees are not valid for Boxing Day & Week Sale items. Staples offers free shipping on online orders over $45. Click here to shop Staples online or to view all their deals. 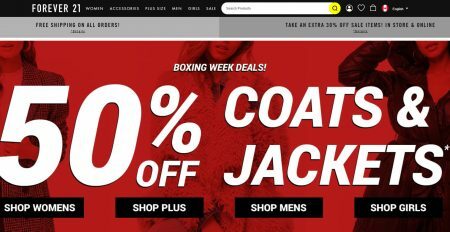 Entertainment.com is having a Boxing Day Sale. 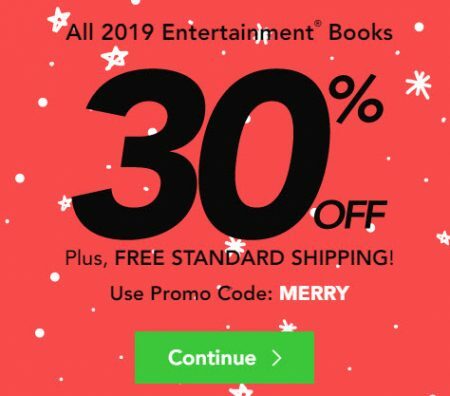 Save 30% off all 2019 Entertainment Coupon Books+ Free Shipping when you enter the promo code MERRY at checkout. I’ve tested the code and can verify it works. The sale is available online-only from December 26, 2018 to January 2, 2019 so don’t miss out! Note: Prices on Entertainment.com are in USD. Aritzia is offering up to 50% off everything during their Boxing Week Sale. Except the SUper Puff family. The sale is available in-stores and online from December 23 to January 9, 2019. Prices as marked online reflect discount. Offer valid at aritzia.com from 4:00pm PST, Sunday, December 23rd, 2018 through 11:59pm PST, Wednesday, January 9th, 2019. Offer valid in stores from Monday, December 24th, 2018 through Wednesday, January 9th, 2019. Please note not all brands are carried at all stores. The Super Puff family is excluded from this promotion. Offer cannot be applied to previous purchases or the purchase of gift cards and cannot be redeemed for cash. Canada only. Aritzia offers free shipping on online orders over $150. Click here to shop Aritzia online now or for more details about the sale. Holt Renfrew is offering up to 70% off + an additional 30% off on select Fall fashion and accessories during their Boxing Week sale. The sale is available in-stores and online from December 26-31, 2017. ALL SALES FINAL. On select regular priced merchandise only. Excludes beauty. Discount will be applied before sales tax. Available at all Holt Renfrew stores and Ogilvy. Not available online. Styles, quantities and sizes are limited and vary by location. “Final Sale” in effect while supplies last. No price adjustments on previous purchases. Cannot be combined with any other offer. All items purchased are final sale and no returns or exchanges will be accepted. Consult with a sales associate for details. **Additional 30% off offer begins on December 26, 2018 during store operating hours and ends December 31, 2018 at closing, or while supplies last. In-store only. Excludes beauty. On select already reduced merchandise only, additional 30% discount will be applied at register. Discount will be applied before sales tax. All items purchased are final sale and no returns or exchanges will be accepted. Click here to visit Holt Renfrew’s website for more details about the sale. Click here to find a Holt Renfrew store near you. Forever 21 is having a Boxing Week Sale. Save 50% off Coats & Jackets, Free Shipping on all orders, and take an extra 30% off sale items. Click here to shop Forever 21 online now or for more details about the sale.